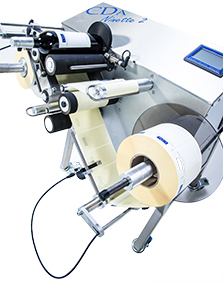 Semi-automatic labelling machines to apply simultaneously two self adhesive labels on cylindrical items of any kind. 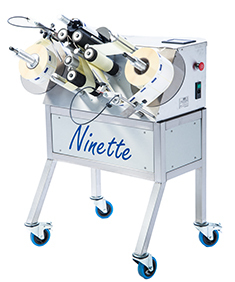 This machine, very multivalent, allows the labelling of bottles as well as jars, pots, tubes, cartridges, tin cans, however: a large range of products! For applications with diverse types of detection cells in order to position the labels on the items to be labelled.